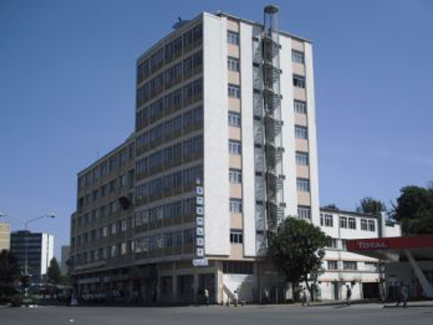 Harambee Hotel is one of the most well established hotels in Addis Ababa. It is located in the center of the city and only a ten minute drive from Bole International Airport. Nearby are the Post Office, National Theatre, Cinema and Banks. The hotel has 48 rooms all equipped with Satellite TV, private bath with hot water and 24 hour Room Service. The hotel is a tourist hotel with a cozy and tranquil atmosphere and modern facilities. Our Restaurant serves all the favorite Ethiopian dishes as well as European Cusine. And our two Bars offer a variety of local and exotic drinks and cocktails. Every Thursday afternoon we offer "Happy Hour" with charcoal roasted meat. We hope you will come and visit us soon. Airport shuttle and laundry services. Meeting and banquet facilities are also available to host social and corporate events. The premises are guarded by security personnel.